Brooklyn, NY – Today, NYC Council Member Brad Lander, Assembly Member Robert Carroll, disability rights advocates, Park Slope seniors & families, and community members joined to call on the MTA to add the 7th Ave F/G subway station in Park Slope to the list of subway stations to be upgraded with elevators as a part of its Fast Forward plan, a list the MTA is expected to soon release. 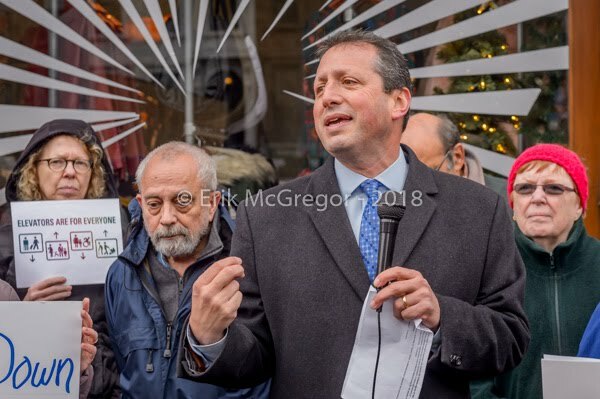 The 7th Ave F/G Station is situated just a few blocks from Brooklyn Methodist Hospital and the senior center Park Slope Center for Successful Aging, two populations that especially need accessible transit. The surrounding area contains a large number of families with young children & strollers as well as residents with mobility impairments who struggle to navigate a subway station without an accessible entrance. 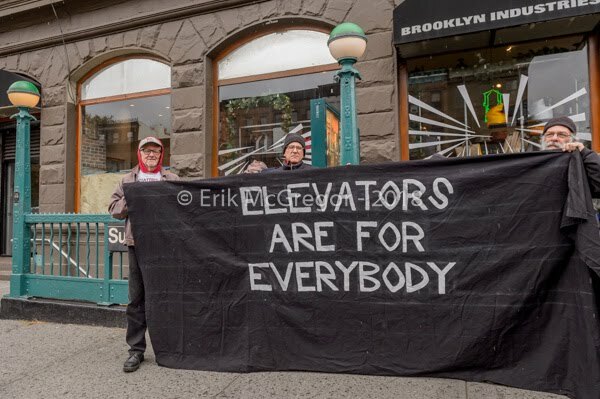 Currently, there are no stations with elevators between Jay Street MetroTech and Church Ave on the F/G line. 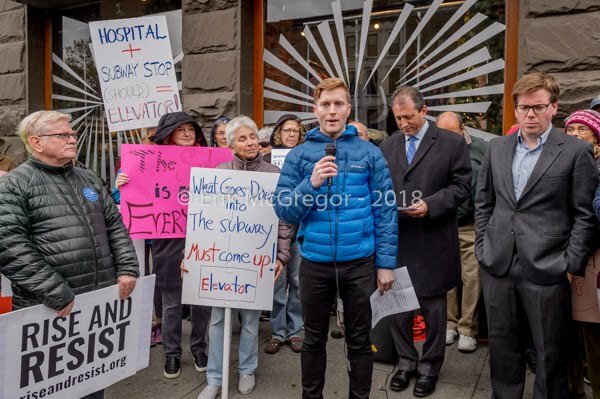 The 7th Ave Station falls right in the middle of these stations, which adds to the call for an elevator at this location. 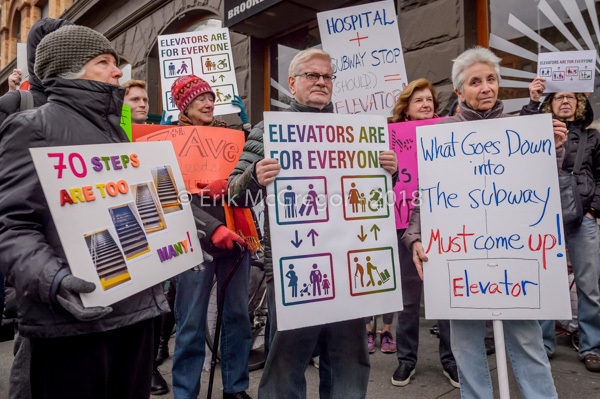 According to a study completed by The Guardian, only 20% of NYC subway stations are fully accessible. 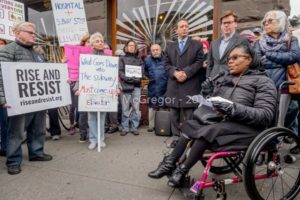 The Fast Forward plan’s Accelerate Accessibility portion calls for 50+ new accessible stations within 5 years, so all subway riders are no more than two stops from an accessible station. The list of stations to be upgraded will soon be released. 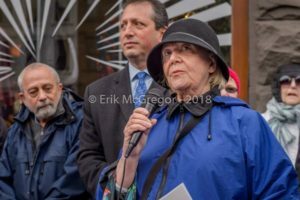 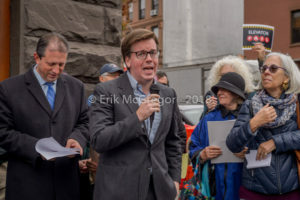 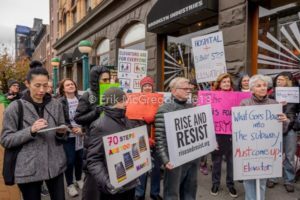 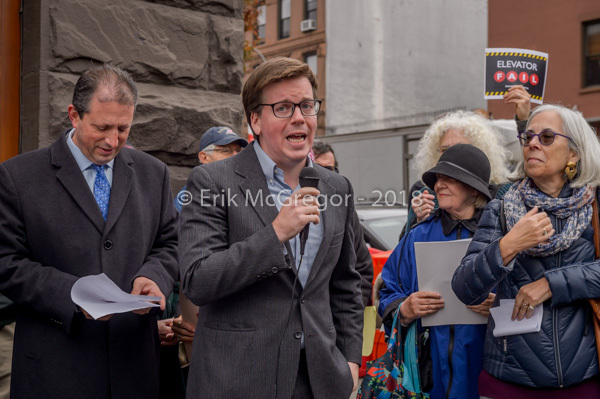 “The MTA must address their failure to comply with the ADA (Americans with Disabilities Act, 1990) as well as the simple economic imperative that people with disabilities are taxpayers,” said Rebecca Kostyuchenko of the Elevator Action Group at Rise and Resist. “Wheelchair users are taxpayers. New Yorkers over 65 are taxpayers. 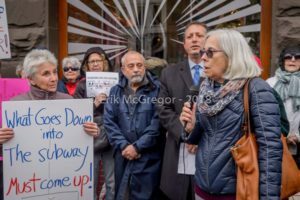 Parents and caregivers who need to maneuver the subway are taxpayers. 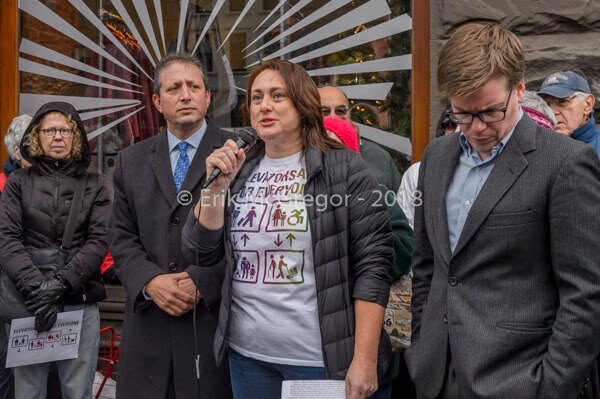 Delivery people are taxpayers. All these people ride the subway and need access to working elevators. 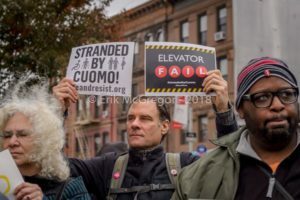 Any opportunity to press for another elevator in the widely inaccessible NYC subway system is a must. 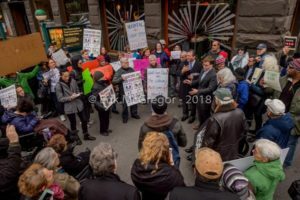 The Elevator Action Group is a coalition of concerned New Yorkers and activists moving to push wheelchair accessibility in the subways to the top of the MTA agenda.